Raleigh, North Carolina is no stranger to eye disease. 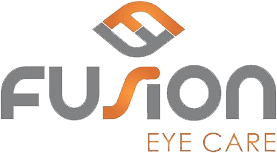 Here at Fusion Eye Care, we staff helpful optometrists that know how to treat some of the most common ones, such as age-related macular degeneration. AMD, ARMD, or just plain age-related macular degeneration is a chronic disease of the eye. It causes the deterioration of the part of the retina that handles central vision. This is the most common form of AMD. Approximately 90% of people who have AMD have this form. It’s generally diagnosed early, though it may be missed until an intermediate stage if you avoid regular eye exams. Dry AMD causes the thinning of the macula. Alternatively, it may result in the thinning of depositing pigment inside of the macula. As the disease progresses, it can cause problems in the central vision such as blurriness or an entire blind spot. This can cause a number of issues in everyday life. Even simple things like driving and recognizing faces can become almost impossible. There are also drusen that occasionally occur. Those are yellow deposits that end up underneath the retina, and they can grow to various different sizes. Wet AMD can occur out of dry AMD at any time and without warning. This is why getting eye exams regularly is so important. It helps to diagnose dry AMD before it becomes wet AMD. Dry AMD lacks any direct treatment, but diet changes can help slow the progression. There are a number of nutrients that help the strength of the human eye. Zinc, vitamin A, as well as others have been shown in numerous clinical studies to help. Wet AMD affects the other 10% of people with this disease. AMD becomes wet when blood vessels begin to grow underneath the macula. Because these blood vessels are fragile, they can easily burst and leak. This causes the macula to swell, which causes even more damage. The degeneration of the macula can begin without showing any obvious symptoms. Even dry AMD can be difficult to spot until it gets to the intermediate stages. But wet AMD is obvious. The symptoms include seeing waves in a straight line, or a complete blind spot in the central vision. Should you notice either of these symptoms, call us immediately at (919) 977-7480 as you may need immediate medical intervention! It is possible to delay the progression of wet AMD, just like with the dry version, but it t does require quick detection and treatment. And contrary to popular belief, eye glasses can not cure wet macular degeneration. Our optometrist in Raleigh, NC can help diagnose and treat AMD early, before it becomes a problem. Call today and schedule an appointment with our optometrist, Dr. Kiarash Bassiri, to determine what course of action may be needed. 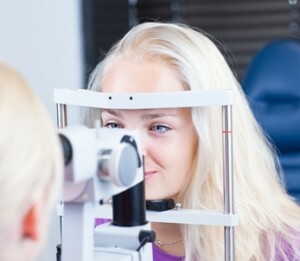 If surgery is needed, we have a great ophthalmologist we can refer you to.